………… Angelica was, supposedly, given it’s name during The Great Plagues of Europe. Apparently a monk had a dream of an Angel, who told him this particular herb could cure “The Plague”. Whether it was used in such a cure is not known my Self. 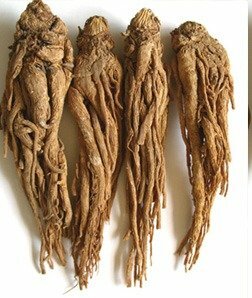 ………… Today, Angelica is valued as a Stimulant for The Digestive System. It is apparently a good Remedy For Gas, Colic, and Acid in’Digestion. It is also, apparently, of value in the Treatment Of Lung Diseases (which are not given), Coughs, and Colds. It Relieves Build-Up of Phlegm due to Asthma and Bronchitis (although, if this is true, then it should relieve the build-up of phlegm for any reason). Angelica is apparently Invigorating To The Entire Body, and can be used as a Tonic For Added Physical Vitality and Mental Well-Being. It can also be used for Cleansing Wounds (how and what kinds of wounds is not given). !!! – Use With Caution – as (apparently) Large doses can Adversely Affect Blood Pressure (in what way is not given), Heart (heart “what”, and in what way is not given), and Respiration (in what way is not given). If taken during Pregnancy, it can (apparently) stimulate menstruation (how this is possible when a person is pregnant is not know to my Self), and used to dispel after birth (as the “after-birth” comes “After The Birth”, then this should be listed as a “Use” rather than a caution, but I have no first-hand knowledge of this use). ………… Can be used in “Protection” and “Exorcism Incense” (although at the time of this writing I do not condone the practice of “Exorcism” as this is a tool of the “Abrahamic” religions and is only necessary for those who limit their Selfs by those belief structures). ………… Can be carried in a Blue Pouch as a Protective Talisman (why “Blue” is not given). ………… Can be Added To Bath to aid in the Removal Of Hexes. ………… Smoking The Leaves (of the plant I assume as this information is supposed to be about The Root, which obviously has no leaves) apparently, Causes Visions. ………… Angelica, supposedly Protects by both Creating A Barrier against Adverse Energies, and by Filling It’s User with Beneficial, Radiant Energy (how and by what method is not given). ………… Supposedly Removes Curses, Hexes, or Spells that have been cast against One (how and by what method is not given). ………… Supposedly Enhances The Aura, Gives a Joy’ful Out-Look on Life (how and by what method is not given). ………… It is said that One should Burn the Sun-Dried Herbs while announcing One’s Desire, and to Retain it in One’s Mind (obviously the “Herbs” is not referring to The Root, but if this means: The Leaves, The Stem, or The Flowers – is not given. Further-more, it is not said, as to the reason why One should do this. As a spell, as a way of getting high, or as a way of making One think that He or She is “Really Magickal” is not clear). ………… It is quite possible that – in “My Foolish Years” (meaning, the time when I was living the Arche-Type of “The Fool” card: travelling, experiencing The World A’New, and basically absorbing The ALL of Everything incessantly) I had some experience with Angelica Root. Considering that I was surrounded by hippies, Herbalists, and Herb Enthusiasts – it is, in-fact, highly likely. However, in that time, I did not observe any experience that I may or may have had with it. ………… I do know that I have used products with Angelica (root, stem, flower, I do not know) added to them. However, once-again, I was not paying the attention that is necessary to give any first-hand experience on the subject matter at this time.